IWAKI’s electromagnetic metering pumps range from simple basic models to high-end dosing pumps with many control options (for precise chemical dosing), special applications and with precise monitoring, feedback and control. IWAKI’s motor driven metering pumps include energy efficient pumps with high dosing accuracy and approximate pulsation-free dosing. 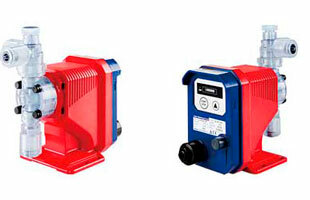 We offer many pump models, some of them with ATEX approval. 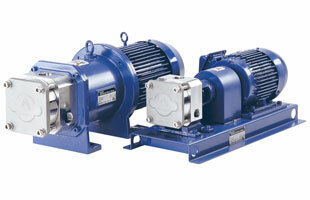 The range of gear pumps includes self-priming pumps that are suitable for pulsation-free dosing with high accuracy. These can be used for low viscous liquids like water / alcohol. 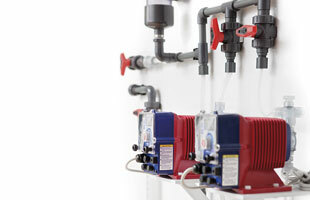 IWAKI offers a large standard program of polyethylene dosing units. 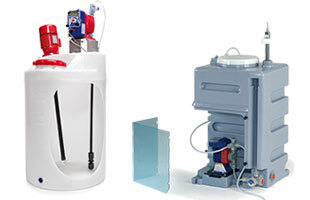 These dosing units are a safe solution at a reasonable price. IWAKI offers customized dosing panels. 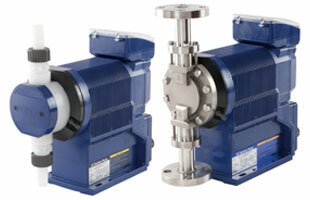 A board consists of one or more dosing pumps, associated piping with valves and possibly flowmeter. 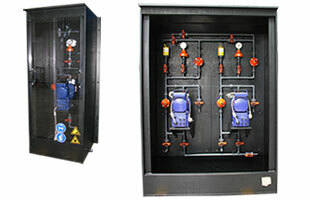 The entire system is delivered on a wall mounting board. IWAKI’s dosing cabinets make handling of chemicals more safe and is used i.e. in connection with water treatment plants.